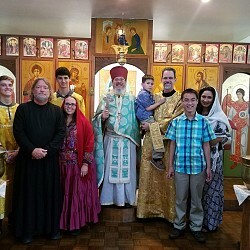 St. George the Great Martyr Orthodox Church - Parish Life - Are You Involved? Parish Life - Are You Involved? Parish Life – Are You Involved? Are you using your gifts to help our parish grow and thrive? We always need more help, so if you are not involved in some way already, be sure and ask how you can be. 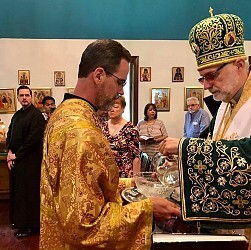 It is an important part of living the “Liturgical” life. It might not always be enjoyable, but it is a work unto the Lord and can be an excellent opportunity to grow in humility. Church Choir – The Lord loves us to worship Him in song and we want to do so with excellence. If the Lord has given you the ability to sing, please consider practicing and singing with the choir. Maintenance / Repair – There is always something that can be fixed or upgraded. Just ask! Beautification – Indoor and Outdoor projects are always ongoing, especially around major feast days. Hospitality during Services – Greeting visitors and helping the elderly. Hospitality after Services – Coffee hour meals and clean-up. Community Outreach – Food Pantry is normally twice a month and help is always appreciated. And more… again, just ask!